Just in time for the holiday season, one of our favorite Etsy haunts, Apple n Amos, is offering up the sweetest playdough set ever. Their Christmas Milk & Gingerbread Cookies Playdough set is the perfect way to keep little ones busy while you get some real holiday baking done. 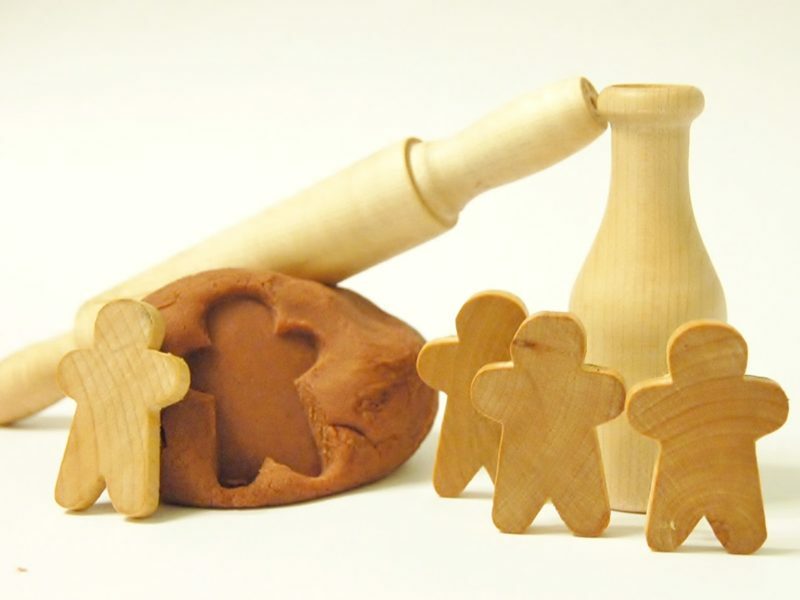 The set comes with one jar of velvety soft gingerbread scented playdough made with all natural ingredients, one wooden milk container, and four little wooden gingerbread men cookies, all meant to inspire your child to bake up imaginative holiday creations. Add your own rolling pin and extra cookie cutters if you’d like for even more fun. This toy set is made with all natural wood sealed with homemade beeswax wood polish and comes packed in an Apple n Amos signature muslin bag for easy clean up, storage and portability. Just in time for the holiday season, one of our favorite Etsy haunts, Apple n Amos, is offering up the sweetest playdough set ever. Their Christmas Milk & Gingerbread Cookies Playdough set is the perfect way to keep little ones busy while you get some real holiday baking done. The set comes with one jar of velvety soft gingerbread scented playdough made with all natural ingredients, one wooden milk container, and four little wooden gingerbread men cookies, all meant to inspire your child to bake up imaginative holiday creations. Add your own rolling pin and extra cookie cutters if you'd like for even more fun. This toy set is made with all natural wood sealed with homemade beeswax wood polish and comes packed in an Apple n Amos signature muslin bag for easy clean up, storage and portability.